International Defense Exhibition and Seminar (IDEAS), Pakistan biannual arms show, made a modest beginning in year 2000 on President Musharraf's directive. It has since grown into a major international event with hundreds of exhibitors and delegates attending from several dozen countries. It has also served to help highlight and promote Pakistan's domestic defense industry and sign several arms export deals with friendly nations. The just concluded IDEAS 2014 attracted 333 defense-related companies including 50 companies from Pakistan. Delegates from 50 countries attended the show this year. The fact that Pakistan is the third largest importer of arms in the world is not lost on major arms merchants. World's top arms importer is India with 14% market share followed by China and Pakistan with 5% each, according to Stockholm-based SIPRI. While Pakistan's traditional allies China and Turkey were the biggest exhibitors occupying the largest space at the show, the most notable new entrant this year was Russia, the biggest arms supplier to Pakistan's arch-rival India. Russian defense minister visited Pakistan and agreed to sell Mi-35 attack helicopters. There was also a report in IHS Jane's 360 publication that, under a new Pakistan-Russia defense cooperation agreement, Russia will now directly supply RD-93 Klimov jet engine for JF-17 fighter aircraft jointly developed by China and Pakistan. 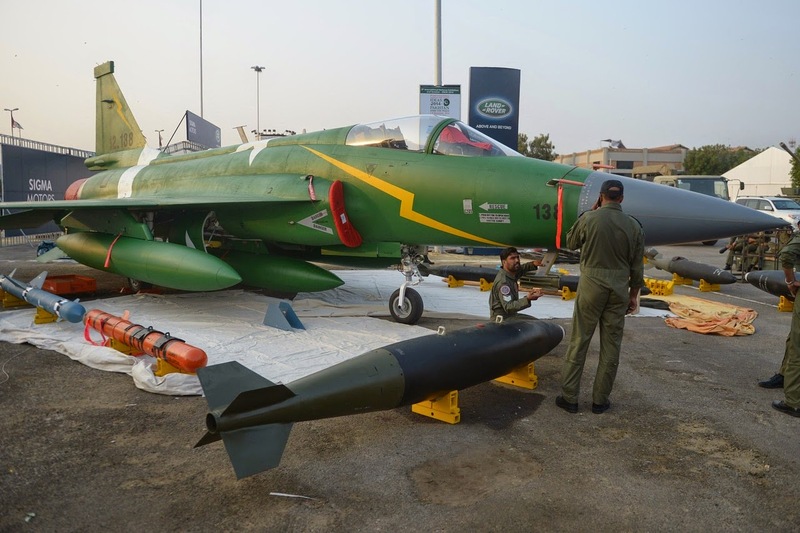 While the JF-17 was the star of the show for Pakistan, other major Pakistan-made attractions included smart-bomb named Takbir, a high-tech weapon system POF Eye, and new drones Burraq and Shahpar and trainer aircraft Mushshaq and Super Mushshaq. There were also armored car manufacturers catering to rising domestic demand fueled by security concerns in Pakistan. Pakistan-made Takbir ‪ is a 250 Kg air-launched smart bomb that can accurately hit target 80-100 km away. It expands its wings as soon as it is launched and makes its way while dodging the hurdles in its way to hit its intended target. Pakistan-made POF Eye is a special-purpose hand-held weapon system similar in concept to the Israeli-made CornerShot that can fire weapons (bullets, hand-grenades) around corners. It is designed for SWAT and special forces teams in hostile situations, particularly counter-terrorism and hostage rescue operations. 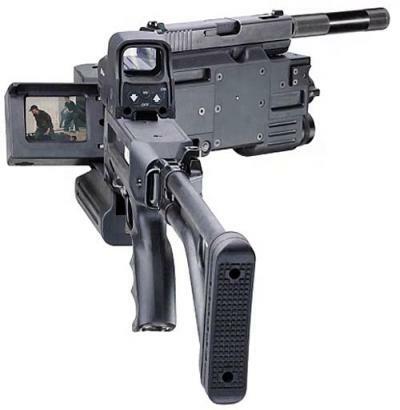 It allows its operator to both see and attack an armed target without exposing the operator to counter-attack. Pakistani officials claim having closed several arms export deals to sell different weapon systems, including agreements with four Middle Eastern and African countries for the sale of one JF-17 squadron each. PTI Plans; Junaid Jamshed Blasphemy; Modi Minister's Attack on Non-Hindus; Pak Defense Expo from WBT TV on Vimeo. What if Modi Attacks Pakistan? Can Pakistani Military Defeat the Taliban? I am presently visiting Karachi and had had the opportunity to visit the exhibition. The 'Takbir' is a great weapon. The model on exhibition was probably just a smaller version and replica of the actual equipment. Because, for it to be able to travel 80 KM after launch it would need a fairly large propulsion vehicle with solid propellant ( to reduce the size). Again, the targetting system would need very sophisticated avionics with guidance, preferably, from a settelite controlled by us. The Nigerian Air Force (NAF) is close to finalising an order for the purchase of one or two squadrons of the JF-17 Thunder fighter aircraft co-produced by Pakistan and China, a senior Pakistani Ministry of Defence official told IHS Jane's on 2 December. Speaking at the International Defence Exhibition and Seminar (IDEAS) 2014 in Karachi, the official said the NAF finalised its recommendation for the purchase of 25-40 JF-17s after NAF chief air marshal Adesola Nunayon Amosu visited Pakistan in October. AM Amosu's engagements in Pakistan included a visit to the Pakistan Aeronautical Complex (PAC) at Kamra, north of Islamabad, where the JF-17 is manufactured. So far, the PAC has produced 50 Block 1 JF-17s and began work on another 50 Block 2 variants in late 2013. Pakistan Air Force (PAF) officials have told IHS Jane's that a Block 3 variant is being planned. While the JF-17 has PAF capability plans, it has so far failed to find an export customer. PAF officials have described the JF-17 Block 3 as a fourth-generation-plus fighter, a term that is used to describe Western aircraft such as Lockheed Martin F-16 Block 60s, the Saab Gripen, Eurofighter Typhoon, and Dassault Rafale, among others. Western officials have previously said that a first successful export of the JF-17 holds the key for the programme's long-term sustainment. Potential export customers mentioned as likely candidates for the JF-17 have included Egypt, Nigeria, Myanmar, and Venezuela. Senior PAF officials have promoted the JF-17 as costing much less than comparable fighters produced by Western manufacturers. However, prospective customers are likely to consider established manufacturers ahead of PAC, which is a relative newcomer to the international market. Yet Zaheer Ahmad, vice president of Kestral, representing a range of primarily North American contractors such as L-3 Communications, Lockheed Martin, and Sikorsky, said IDEAS2014 was comparable to any other large exhibition in terms of the variety of attendees and exhibitors. A number of key smaller exhibitors were present for the first time. ByField Optics, a developer of surveillance and security products and manufacturer of leading edge ultraviolet/kinetic eye protection and optics, came from Australia. Czech manufacturer Inflatech showcased its inflatable decoys that reflect radar energy and can simulate infrared signatures. Lithuania’s Helisota promoted its helicopter maintenance, overhaul and upgrade expertise. Yugoimport, Serbia’s arms export agency, was also a major presence. With local industry the largest presence, the bulk of the remainder came from China, Turkey and the US. “So far, there are 11 countries talking to us; so far we have not actually signed any deal,” said Air Commodore Khalid Mahmood, director of sales and marketing for the JF-17. He outlined a wide range of improvements and weapons integrated with the aircraft. Weaponry now includes the CM-102 air-launched supersonic anti-radiation missile and GB-6 air-launched standoff submunition dispenser, which were unveiled at China’s Zhuhai Airshow last month. Mahmood said Pakistan is “open to all suppliers” for advanced short-range air-to-air missiles, and dispelled rumors the active/passive SD-10A long-range missile was not fully operational. He stressed the program continues to evolve and potential customers are being offered a partnership, not just an aircraft. The expected deals for Chinese submarines and Russian Mi-35M helicopter gunships were not signed. Russian Helicopters representatives said only that the deal is “for more than five.” Pakistan’s Minister for Defence Production Rana Tanvir Hussain also declined to directly address the issue, but did say Pakistan is also considering the Mi-28NE Havoc. Similarly, Chinese and Pakistan Navy officials would not discuss the submarine contract, but Cmdr. Hasnain Ali of Karachi Shipyard & Engineering Works (KSEW) said they would likely mostly be built in Pakistan. Other deals have been quietly signed, including those for the third and fourth stealth missile boats being built at KSEW. The remaining pair have yet to be contracted. Three batteries of the China Aerospace Long-March International LY-80 surface-to-air missile system have been purchased for nearly US $226 million, with eight units of the IBIS-150 air defense surveillance radar for $40 million. A model of an LY-80 battery was displayed, but little further information was forthcoming. Analyst Haris Khan of the Pakistan Military Consortium think tank, who attended IDEAS2014, said the LY-80 was a “good system that looks like it will be very effective,” but does not yet know if it will be produced locally as speculated. NORINCO displayed its SH-1 155mm wheeled artillery system, but Khan said its worn appearance proved it had at least been trialed by Pakistan’s Army, though officials would not comment on this. State-owned armored fighting vehicle manufacturer Heavy Industries Taxilia (HIT) has been busy. Spokesman Lt. Col. Amer Ahmed Khan said it will partner with Belgian engineering firm and licensee Duma Engineering to produce General Dynamics’ Dragoon four-wheel-drive armored fighting vehicle (AFV). “For years officials have hoped a major export order for one of these would put the country on the list of the world’s emerging arms exporters,” Jane’s noted. It added that there was a small ray of hope, however. Nigeria, it said, was due to finalise plans to buy 15 to 30 units of the JF-17 in what would be the fighter’s first export. The Arms Trade Treaty (ATT) official becomes international law on Wednesday, which establishes for the first time global rules to stop the flow of weapons and munitions to countries where they could be used to commit serious human rights violations. However, it does nothing about the hundreds of millions of guns already in circulation worldwide. At Peshawar's Karkhano Market, for instance, anyone can find antique Enfields used by British troops in World War I, Soviet AK-47s from the 1980s, and M-16s stolen from NATO warehouses in Afghanistan. Experts fear that many of these weapons wind up in the hands of Taliban fighters. From the inside of the main cockpit, designed as an exact replica of the JF-17’s driving seat, Daniyal Masoom demonstrates what he calls his pièce de résistance, the most advanced flight simulation platform ever designed in Pakistan. It’s a little like being in The Matrix, you strap in and are immediately transported several thousand feet above sea-level. The roar of the fighter jet’s engines bellows from the speakers as the instrument panel lights up. From the moment you gain control of the aircraft, you’re hooked. The partnership that spawned this technological marvel was formed in Dec 5, 1997. “That’s the day we enrolled at the PAF Academy, Risalpur,” says Syed Mohammad Raza, the other half of the duo behind Thrust Factor. A technically gifted engineer and mathematician, Raza had already developed a working prototype of the simulator platform by the time the two men decided to collaborate. While they have no plans to abandon their day jobs yet, both men confess that designing simulators is their real passion. Although they still call themselves a start-up, the duo have already had great success marketing their wares to foreign buyers with deeper pockets. A fully functional version of the cockpit installed on the sixth floor of the Safa Gold Mall is already in place in Qatar, with several other projects in the pipeline. Thrust Factor is more than just a flight simulator. In video gaming terms, the system that Daniyal and Raza have designed can ‘talk to’ most video games available on the market. The simulators can even be linked via LAN to enable multiplayer gaming. They have integrated everything from driving simulators to Moto GP games, and there is even talk of a fighting simulator. The platform they’ve designed, both hardware and software, is completely indigenous. “We’ve made sure that every single part, every bit of raw material is something that can be easily found in markets of Lahore, Karachi, Islamabad or Multan,” says Raza. Asked how they get the simulator to replicate the in-game movements, Raza proudly explains his ingenious solution to the problem of clumsy hydraulics. “It’s an electronic actuator that we designed ourselves. The patent is currently pending,” he tells us with much aplomb. The result of his efforts is a bumpy yet realistic ride. “During a race, a driver will experience up to 3Gs. We want our users to experience at least half that, so that when they get out, they feel physically exhausted,” he says. Analyst Usman Shabbir of the Pakistan Military Consortium think tank said that since the French Al Khalid sight is too expensive, and the Franco-Pakistani defense relationship has deteriorated, Turkey is a viable alternative supplier. He believes there may be further benefits in deepening the Pakistani-Turkish defense relationship that could allow export of the Al-Khalid, hitherto prevented by high foreign sub-systems content. Indigenization of sub-systems and others from Turkey will potentially change this. "I don't see any issue with exporting Al-Khalid with Turkish sub-systems as we are not competing for the same market, and Pak/Turkish relations are also deep and very well established," he said. Aselsan is also partnered with Turkish Aerospace Industries (TAI), and defense software firm Havelsan in bidding to upgrade Pakistan's ATR-72 patrol aircraft after the tender was reopened shortly before IDEAS2014. Havelsan's Nejat Gokbakar (who revealed Havelsan had also submitted an independent proposal) and TAI's Gokberk Ozturk said the Pakistan Navy was impressed after examining the Turkish Navy's ATR-72s, the standard of which is now being offered to Pakistan. They are optimistic of success. Ozturk also revealed TAI hopes to build upon giving subcontracting work on the Anka UAV to Pakistan Aeronautical Complex by "looking for opportunities to export it to Pakistan." "We're aware the Pakistan Air Force is using FLIR-equipped C-130s, so the Anka is far better suited in every respect," he added. TAI is pursuing multiple avenues of business with Pakistan, including promoting the T-129 helicopter. Ozcan Ertem, executive vice president and head of Aircraft Group, said TAI is also ready to explore any opportunity to supply a variant of its Hurkus turboprop trainer. However, one Turkish aviation expert said the Turkish military's persistent push to buy an extra batch of Korean-made KT-1 basic trainers could prune export prospects for the Hurkus. "The reluctant potential buyers could include Pakistan, given the message of uncertainty over the Hurkus," he said. The Turkish military has signed a deal with TAI to buy 10 Hurkus, but is pressing for a follow-on order from Korean Aerospace Industries for 15 KT-1s in an approximately $150 million deal. In 2007, Turkey and KAI signed a contract for the sale of an initial batch of 40 KT-1s, with an option for 15 more. The industry widely views the Turkish move to buy new KT-1s as a sign of mistrust in TAI's delivery schedule, planned for 2017-18. Yonca Onuk, maker of advance composite fast attack, interception, and patrol craft, also seeks to deepen its relationship with Pakistan. Having already supplied it with MRTP-15 and MRTP-33 boats, it is now hoping for success with its MRTP-34. Ekber I.N. Onuk said the MRTP-34, (of which he said Qatar has purchased three), was an improvement of the MRTP-33, which Pakistan's Navy has praised for "excellent sea keeping and handling qualities" plus lethality and versatility. Consequently, he believes the MRTP-34 "is a boat the Pakistan Navy needs," specifically for operations in and around the contested Indo-Pakistani maritime border. "The MRTP-34, when operated in the Creeks area, in conjunction with a network-centric warfare capability, means that they would be as lethal as a cobra in the bushes," he said. Also being promoted is the larger, more capable MRTP-45, and there are hopes for wider cooperation. "We see people have understood the strength of the Turkish defense industry, and we will be able to provide state-of-the-art naval platforms, equipped with state-of-the-art systems, including anti-ship missiles," Onuk said. He does not believe the JF-17 will be a victim of a divergence in the fighter market with affluent nations opting for high end fighters while others purchase lead-in fighter trainer (LIFT) aircraft. "Everyone needs a high tech aircraft. Those who can afford it buy them. Others think a LIFT will fill the gap, but it doesn't," he said. "We can offer customers a far more capable aircraft at a similar price. We can offer them support and maintenance. We don't just offer them aircraft. We don't walk away from our responsibilities." Nor does he believe Russian competition will directly hamper sales. "In this class of fighter, the Russians don't have any airplanes. The nations which consider the JF-17, the Russians cannot offer an alternative aircraft because the aircraft are big, twin-engined, mostly twin-tailed, and of course they need bigger infrastructure, the storage, everything has to be specialized for those airplanes. "Nations make their own decisions, but what is the most popular requirement?" he added. "Everybody wants to retain the same infrastructure, without them changing everything; they want to buy an aircraft with similar capabilities." Presently development is focused on the third variant. "We are in the process of finalizing the conceptual design of the Block III," he said. "Production is still three years away. Block III will be a big jump. The capabilities will be enhanced with previous ones retained." Speculation focuses on possible dedicated stations for targeting pods, but Mahmood would say only that this was possible, and highlighted the present practice of using dual ejector racks "to offset this smaller size of the airplane." Hitherto, those seen on the JF-17 have carried bombs, but there is speculation regarding dual racks designed for SD-10 beyond-visual-range air-to-air missiles being tested. Considerable improvements have also been made to armament options in the past two years, with emphasis on survivability and multirole capabilities. "We're presently in the age of standoff weaponry. The Chinese have cleared a number of weapons for export, including long range anti-radiation missiles and [LG6] standoff munition dispensers. The anti-ship missile armament is also quite potent and comprises of the CM-400AKG and C-802AK. Each JF-17 is capable of carrying anti-ship missiles. The software is there. There are no fleets within fleets." Perhaps reflecting an impending deal, he highlighted 90mm rocket launchers have been fitted at the behest of a potential customer and that such requests are prioritized. "As a matter of policy we will add anything to the aircraft that will increase its potential, and even consider a Western engine if the customer so desires. We have spoken to suppliers about this, to Rolls-Royce. So if a customer decides we can do it, we can integrate a new engine. It will take a bit of time, but it can be done." This is believed to be a reference to an EJ200-powered JF-17 targeted at Saudi Arabia, which in early 2014 discussed possible co-production and financing. This test means the Hatf/Vengeance VIII Ra'ad (Thunder) has now been officially tested five times since 2007. It is generally comparable to the Anglo/French Storm Shadow or US AGM-158 joint air-to-surface standoff missile, but exact specifications are not available. Analyst, author and former Air Commodore Kaiser Tufail said, "The test firing was a typical combo of a technical upgrade timed with political signaling, something that both India and Pakistan have turned into an art form." Mansoor Ahmed, lecturer in the Department of Defence and Strategic Studies at Islamabad's Quaid-e-Azam University, who specializes in Pakistan's nuclear program and its delivery systems, said the test was not in answer to India's test-firing of its Agni V intermediate range ballistic missile. He added, "Ra'ad and the land and sea versions of the Babur cruise missiles offer diversification in targeting options, greater operational and deployable flexibility and increase the overall survivability of its deterrent force." He says the two cruise missiles are especially important for Pakistan's nascent "posture of full spectrum deterrence with added emphasis on counter-value targeting to offset India's strategic and conventional force modernization," which are integral aspects of India's "emerging proactive operations strategy." Ra'ad is claimed to be operational, but is such a critical weapon it is still somewhat cloaked in secrecy. Ahmed, however, said Ra'ad may have "finally matured as an operational and deployable system," but "this might also be a batch test coupled with the possible completion/accomplishment of required miniaturization of suitable warheads for this system. Hence this test." Despite being described as a conventional and non-conventional weapon, analysts like Tufail are unconvinced Ra'ad can effectively be employed by Pakistan in the conventional role. 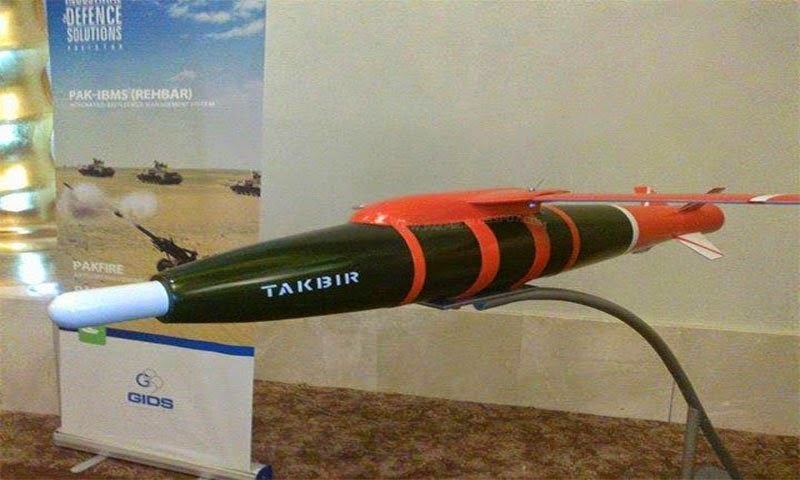 Indeed, Pakistan does seem to have made further steps in this regard and showcased the latest of its glide bombs, the Global Industrial Defence Solutions' 'Takbir', at December's IDEAS2014 defense exhibition. Tufail said it is more likely the JF-17 will be the next delivery platform. One of the most intriguing aircraft to come to the show is the Pakistani JF-17 Thunder, designed and built jointly by China and Pakistan. Three of the aircraft left yesterday for Paris from Pakistan. One will fly, one will be on static display and the other is, presumably, a backup. The aircraft is presumably being shown to see if Pakistan and China can attract any export customers. It’s currently scheduled to fly on Tuesday afternoon. This recent thaw between the cold war rivals is a “natural outflow of Russia’s concern about what is going to happen to Afghanistan after the withdrawal of the U.S.,” explained Nandan Unnikrishnan, who has served as Press Trust of India’s bureau chief in Moscow for several years. If Afghanistan becomes unstable, the spread of militancy and Islamist radicalism is expected to spread to the weak states around it. “The weak states are not China and Iran,” explains Center for Strategic and International Studies analyst Michael Kofman, who focuses on Russia and has worked on Pakistan. Most of the Central Asian states around Afghanistan have porous borders, weak governments, and varying degrees of autocracies which makes them prone to instability or ethnic conflict. Militants from some of these states are already present in both Afghanistan and Pakistan. “Frankly Tajikistan, Turkemenistan, Kyrgyzstan, these are all great targets, and Uzbekistan too,” Kofman said. This is Russia’s backyard. Russia has a military presence in several of these countries and a large military base in Tajikistan. Furthermore, there is a sizeable Muslim population inside Russia. So far the country has not faced issues of radicalization and militancy but it is not immune from them, particularly if the neighboring states fall victim to them. Another reason for Russian overtures toward Pakistan may be to gain leverage with the Afghan Taliban via Islamabad in case the elected Afghan government falls. “In the minds of Russian security services there is little doubt that Pakistani intelligence services and Pakistani establishment have very strong links with some of the Afghan Taliban,” according to Indian journalist Nandan Unnikrishnan. Russia’s attempt at redefining its relationship with Pakistan comes at the risk of upsetting India, its traditional ally and largest defense sector customer. However, Russia has justified this by pointing out that India has also looked to its rival, the United States, for its purchases. In the last few years, the U.S. has surpassed Russia to become India’s largest arms supplier. Russia may also be looking to Pakistan as an untapped market. Pakistan’s direct defense trade with Russia has been limited, $22 million a few years ago compared to billions of dollars of trade with India. Pakistan has usually received Russian equipment through China, which is not known for making aircraft engines and often uses Russian engines in its planes. One of the benefits for Pakistan in trading with Russia will be “to cut out China as the middle man and save a lot of money,” according to Kofman of CSIS, who pointed out that Pakistan’s JF-17 Thunder aircraft, jointly developed with China, and recently in the news for receiving its first foreign order, uses Russian engines. He also explained that the extent of this defense cooperation will depend on how much money Pakistan can spend. “Russia, at the end of the day, is not in a position like the United States to subsidize defense deals,’ he said. However, in a post Ukraine world of increased hostilities between Russia and the West, it is in Russia's interest to show that it is not isolated and has partners willing to do business with it. Meanwhile, the United States has long encouraged countries in the region to take a greater interest in the stability of Afghanistan and has strongly supported China’s efforts in facilitating peace talks between the Afghan Taliban and the government of Afghanistan. Many analysts think that at this point the United States is happy to have any actor that can contribute towards stability in Afghanistan, including rivals Russia and China. Pakistan's Defence Export Promotion Organization (DEPO) unveiled a new exhibition center showcasing defense products from the country's public and private sectors in the presence of Defence Production Minister Tanveer Hussain, foreign diplomats and defense officials as part of efforts to increase exports. Increased export efforts have been underway for some time. Already experiencing some success has been state-owned conglomerate Pakistan Ordnance Factories (POF), a producer of small arms, ammunition and explosives. The official has has led to the production of an improved anti-personnel round for the ubiquitous RPG-7 now used by the army in ongoing counter terror/insurgency operations. However, no tandem warhead anti-tank round has been developed to replace the obsolete unitary round still in service, even though it would be commercially successful. Similarly, development of the PK-8, an improved Heckler & Koch HK33K 5.56mm assault rifle, was abandoned after the army dropped its requirement for a weapon of that exact caliber. The 7.62mm G3S, a carbine/para variant of the army's current G3P4 battle rifle, was ultimately adopted. He admitted that the lack of a 5.56mm product hampered POF's earning potential, especially in the $5 billion US civilian market, but said little could be done by POF itself as it was dependent on development funds and direction from the government. Pakistan, however, continues to forge closer defense cooperation links with countries it already has good military relations with. On Monday, the Malaysian army chief, Gen. Tan Sri Raja Mohamed Affandi Bin Raja Mohamed Noor, visited senior defense officials here including the head of Pakistan's army, Gen. Raheel Sharif, during which closer defense cooperation was discussed. Further improving the already very strong Pakistani-Turkish defense relationship also was discussed recently during a meeting between defense officials from both countries here on Oct. 2 ahead of the 11th High Level Military Dialogue Group scheduled for November. Pakistan has also sought to increase cooperation with newer partners including the Czech Republic, the deputy defense minister of which, Tomas Kuchta, met Sharif at Army Headquarters Tuesday. Closer defense relations are also being pursued with Poland, but there has been no agreement with that country as of yet. Though receiving some official promotional help, private-sector companies have hitherto largely forged their own paths. However, Nooruddin F Daud of Daudsons Armoury, a successful private-sector small arms manufacturer that also supplies bombs and weapon mounts to the military, who attended the DEPO launch, hopes for improvement. "I am very confident indeed. We have our toe in the door. Now we need the government's assistance," he said. As to how the government could help the private sector, however, he replied, "The fact has to be realized that each industry and product category has its own peculiar demands and requirements. There can't be blanket rules and assistance." Daudsons Armoury officials are hopeful their new products – an automatic 40mm grenade launcher, an under-barrel grenade launcher and remote/undercover weapon mount able to be armed with a 7.62mm MG3 machine gun for security posts – will win exports. However, analyst, author and former Australian defense attaché to Islamabad Brian Cloughley says Pakistan has a strong defense industrial base, but this may not be enough to ensure increased export success. "Pakistan's defense industry is well-organized and produces high-quality material, especially in the way of ammunition, but the world market is saturated with defense products and it is extremely difficult to break into what is effectively a closed shop," he said. JF-17 is a single-engine multi-role fighter,capable of performing interception roles, ground attack and aerial reconnaissance. The fighter was inducted as a replacement for the ageing fleet A-5C, F-7P, Mirage 3 and Mirage 5 aircraft that were due to be replaced. The initial Block 1 JF-17s were received in 2007, with production of the upgraded Block 2 JF-17s started in 2013. The upgraded models have upgraded avionics, air-to-air refuelling capability, data link, enhanced electronic warfare capability and enhanced load carrying ability. The JF-17 is powered by a Russian RD-93 afterburning turbofan, which has a top speed for Mach 1.6. The engine is a derivative of the engine that powers the MIG-29 Fulcrum. With the recent improvement in Pakistan-Russia relations, it might be possible to source the engines directly from Russia, rather than through China. In November it was reported that PAF will stick with using the RD-93, and not opt for a Chinese-made engine. It was also reported recently that PAF is interested in joint engine development with Russia. The air force for years has wanted to expand its technical capabilities in engine development, as they have lacked the capability in this highly-technical field. The JF-17 can be equipped with air-to-air and air-to-ground ordinance, and has a 23 mm GSh-23-2 twin-barrel cannon mounted under the port side air intake. The aircraft can carry 8,000lbs of ordinance on seven external hardpoints, which is an adequate amount of ordinance for any mission profile. The JF-17 enhances the much needed capability of the air force in beyond visual range (BVR) engagements. JF-17 mounts both short-range infra-red air to air missiles along with longer ranged radar-guided BVR missiles, an essential capability for a frontline interceptor. Missiles used on the aircraft come from a variety of different nations. Apart from a capable air-to-air mix, the aircraft can be fitted with laser-guided, satellite-guided and dumb iron bombs. The precision-guided weapons are paired with a targeting pod, mounted on the centreline hardpoint. JF-17's are also capable of carrying anti-runway munitions, specifically the Durandal, which crater a runway, denying its use to enemy aircraft. The JF-17 Thunder, when equipped for an anti-maritime mission profile, can be equipped with the C-802 anti-ship missile (ASM) and the hypersonic CM-400AKG, often referred to as a ‘carrier-killer’ ASM. It hits the target at Mach 4 or above and its kinetic impact alone is enough to destroy any high-value target. For Suppression of Enemy Air Defences (SEAD) missions, the Thunder can be equipped with anti-radiation missiles for neutralising the enemy's air defence radars, allowing the PAF to operate in a less restrictive airspace. Overall, the varying ordinance carried by the JF-17 makes it a capable aircraft for multiple mission profiles. The JF-17 fighter incorporates a fly-by-wire system, through which the aircraft’s pitch axis is controlled, with leading edge slats/flaps and trailing edge flaps automatically adjusted during maneuvering to increase turning performance. The performance of the jet reportedly is similar to the F-16. Incorporating a defensive aids system (DAS), sensors such as radar warning receivers (RWR) and missile approach warning (MAW) enable the pilot to have a clear picture of the threats in an operational area. The electronic warfare (EW) suite of the aircraft is mounted in the tail of the JF-17. It is reported that the pilots can be equipped helmet mounted sights, which gives the pilots a distinct advantage in visual-range air combat, as they can simply look at and guide the missile onto their intended target. Pakistan to sell eight combat JF-17 Thunder aircraft to Sri Lanka under an agreement signed during Prime Minister Nawaz Sharif’s visit on Tuesday. Nigeria plans to acquire three JF-17 Thunder multirole fighter jets this year from Pakistan for $25 million, which would make the West African country the first export operator for the warplanes. The Nigerian government, led by President Muhammadu Buhari, has also set aside money to purchase 10 PAC Super Mushshak basic trainers and two Mi-35M helicopters, Nigerian newspaper Punch reported Wednesday. The local newspaper said it obtained the information on the Nigerian government’s procurement plans from a leaked copy of the 2016 budget, which Buhari presented to the National Assembly in December. Buhari reportedly proposed to spend some $326 million for the acquisition of various combat aircraft, equipment, vehicles and ships in the 2016 fiscal year, as the Nigerian military aims to defeat Boko Haram insurgents in the northeast. Nigerian military officials have apparently been interested in obtaining the JF-17 since the 2014 International Defense Exhibition and Seminar in the commercial capital of Pakistan. During the exhibition, a Pakistani defense official said Nigeria was close to signing a contract for the fighter jets to upgrade its air force. But a deal was not subsequently finalized, according to South Africa’s defenceWeb. Sri Lanka has reportedly signed a deal with Pakistan for an initial eight JF-17 Thunder jets, as the two countries aim to boost defense cooperation. There has been no official confirmation of the agreement, though it has been widely reported, according to Defense News. The JF-17 Thunder is a lightweight, single-engine, multirole combat aircraft developed jointly by the Pakistan Aeronautical Complex and China’s state-owned Chengdu Aircraft Corporation. The jet is equipped with a 23mm GSh-23-2 twin-barrel autocannon and can also be armed with both air-to-air and air-to-surface missiles. The JF-17 Thunder is currently only in service in Pakistan, according to UPI. Fighting Falcon F-16, an American built multi-role fighter jet, has enjoyed a deep-rooted relationship with Pakistan for over three decades. Thanks to its design, it offers an almost complete solution to the tactical and narrowed strategic demands of a compact Air Force like Pakistan’s. Its matchless aerodynamics and upgraded avionics put it a notch above its peers of third generation fighters. The prime factor of its marriage to Pakistani Air Force is its war tested (Afghan-Soviet) history. It was the first advance jet fighter of the American region that became the green tail, replacing the renowned F-86, the Sabre. F-16, just after its induction, was very promptly employed and operationally proved its lethality against one of the world’s superpowers. Exactly like its predecessor, it enjoyed the best multi-role utility and discovered its utmost war potentials in Pakistan than in the US itself. The Americans themselves must have had a jaw-dropping moment when they saw its employment in both tactical and strategic theatres by Pakistan. It was, and still is, the most romantic of unions. Soon after the Cold War, the US, cautious of its future designs in the region, initially deferred and subsequently cancelled the next F-16 deal with Pakistan. Realising the need for a regional power balance, Pakistan looked for alternatives and focused on its Super Sabre (now the JF-17) program with China. With committed devotion and sheer hard work, it proved to be quite successful. Pakistan became the only Muslim country to design, develop and produce a high-tech modern combat aircraft. This was not expected by the global and regional hegemons. Pakistan, once again, attempted an F-16 deal with an upgraded package, which due to obvious reasons was overwhelmingly accepted. Meanwhile, the JF-17 program was also pursued with the same diligence. Diplomatic efforts were employed to entice Pakistan into acquiring upgrades from foreign powers and abandon its indigenous development of weapons. Pakistan, however, chose to be self-reliant. Finally, the long awaited dream came true and the JF-17 was fully in service in 2012. Recent developments in the US Senate, to stall the sale of eight F-16 jets to Pakistan, find their roots in the same fears I’ve mentioned above. The emerging role of Pakistan in the regional tug of war has further raised the apprehension of US policymakers. The increased Indian influence in both the US Congress and Senate has added fuel to the fire by raising false alarms against the Sino-Pak economic handshakes. It is not worthless to highlight that Henry Kissinger’s recent publication “World Order” admits the underestimation of the regional importance of Pakistan as a whole. He further adds that it would now be impossible to arrest the increased role of Pakistan in both regional and Islamic platforms. With sustained and stabilised continuation of diplomatic and strategic policies, Pakistan will perform a copious role in the region. US congressmen and think-tanks have not realised the obvious reality that the supplementary sale of F-16s will not distract Pakistan from indigenisation but would further strengthen its war potential. The world is also cognisant that Pakistan has embedded the F-16 in its tactical nuke delivery system, which can again be an extremely unconventional potential affecting the new world order in the Middle East. However, Pakistani military minds have already envisaged this development, and have gone far in developing alternative options. Pakistan is and will remain a regional game changer, now and forever. The (Pakistan Day) parade (2016) had generally been an annual event, but the deterioration in the security situation led to a seven-year break from 2007 until last year. It has also been notable in the past for the public debut of new equipment. Pakistan is assessing the Thales-made Damocles targeting pod to be mounted on its JF-17 aircraft for giving the fighter precision-targeting capability. The JF-17 is a China- Pakistan joint venture manufactured in Pakistan. Arain said that the JF-17 with the Pakistan Air Force had been performing well but its usefulness in current operations was limited because it lacks precision-targeting, a need which would be fulfilled if Thales sold it the Damocles pod. Arain revealed that 16 JF-17s will be produced this year in Pakistan and a further 20 in 2017. The aircraft are equipped to carry air-to-air and air-to-ground missiles and bombs. The Damocles is a 3rd generation targeting pod, modular, eye-safe laser and a high performance pod. It is currently operated by Malaysia’s Su-30MKM jets, UAE Mirage 2000-9 jet, Saudi’s Tornado and Typhoon aircraft, as well as France’s Rafale and Mirage 2000D jets. Highly unlikely that France is going to sell these Damocles Pods to Pakistan because of its navigation sensors and air-to-air target identification capabilities. Further PAF will need to integrate the pods to Chinese avionics and weapon systems (read bucks). Ameer: "Highly unlikely that France is going to sell these Damocles Pods to Pakistan because of its navigation sensors and air-to-air target identification capabilities"
Is there an alternative source for equivalent pods? Pakistan currently uses Lockheed Martin F-16 Sniper Targeting Pods (2010 version). The latest version is Sniper XR. In addition Northrup Grumman also supplies an Israeli designed LITENING Pod. Thales also has a newer Talios targeting. These systems are being continuously improved with day/night targeting. FLIR sensors, CCD cameras, weapon delivery, target updates, target tracking at altitudes, air speeds and slant ranges consistent with tactical weapon delivery maneuvers. Here is the real issue, for precision targeting in our tribal areas we have been using F-16s thereby reducing its effective life as an air to air combat aircraft. The addition of a precision targeting pod on JF-17 will improve its mission capabilities as well as reduce the burden on F-16. Another reason why Pakistan is seeking these pods is that they are already being integrated to Russian aircraft(s) and will be produced under license in Russia. So there is a path there for JF-17 aircraft integration. Pakistan's Minister for Defence Production Rana Tanveer Hussain has outlined a requirement for the country to provide greater support for defence exporters in order to build on recently claimed successes. Speaking at a session of the National Assembly's Standing Committee on Defence Production on 29 June, Hussain recommended the setting up of a company in Pakistan dedicated to promoting international defence sales as well as the establishment of business units within state-owned enterprises focused on securing exports. "We should create our own company, [with] professionals and experts, for [the] effective marketing of the products," he said in comments reported by the government-run Associated Press of Pakistan. Visitors to AAD are being treated to the aerial prowess of the Pakistan Aeronautical Complex Mushshak, a light, robust primary flight trainer and utility aircraft, whose display includes deliberate spinning. PAC (Hangar 7, Stand CE12) entered the field of maintenance, repair and overhaul (MRO) of aircraft in the early 1970s, as well as components of Chinese origin for the Pakistan Air Force. PAC subsequently moved towards MRO of Mirage III and V aircraft. In the field of aviation manufacturing, PAC progressed from the manufacture of the Mushshak and Super Mushshak aircraft for primary training to the Karakorum-8 (K-8) advanced jet trainer. The Super Mushshak is a powerful two-/three-seat trainer with a more advanced avionics package. The K-8 has a multi-role mission capability including air-to-air and air-to-ground weapon delivery. Today, PAC has advanced technology to design and manufacture the multi-role JF-17 fighter aircraft and upgrade the avionics of fighter aircraft. The JF-17 Thunder is a new-generation single-seat multi-role light fighter with high manoeuvrability and beyond visual range capability. It has a long-range operational radius and advanced aerodynamic configurations. The PAC contingent at AAD is headed by chairman Air Marshal Arshad Malik. ISLAMABAD: Pakistan on Friday signed an agreement for the sale of 10 Super Mushshak aircraft to the Nigerian Air Force (NAF), the Pakistan Air Force (PAF) announced here on Friday. “The contract signing ceremony was held at Abuja (Nigeria) where Air Vice Marshal Iya Ahmed Abdullahi and Air Marshal Arshad Malik, Chairman of the Pakistan Aeronautical Complex (PAC), signed the contract,” PAF spokesman Air Commodore Syed Mohammad Ali said. The contract includes operational training and technical support and assistance to the NAF. The Pakistan Air Force would completely establish this facility in the shortest possible time, he said. The contract will not only open new vistas for export of aviation equipment to foreign countries but also help generate revenue for the country. The aircraft is already in service with Saudi Arabia, Oman, Iran and South Africa. The deal strengthens PAC’s status as a world class aviation industry producing the supersonic JF-17 Thunder and Super Mushshak trainer aircraft. A major international defence exhibition, which is due to open in Karachi tomorrow, marks a timely opportunity for Pakistan to showcase its journey towards self-reliance in the face of significant odds. Whenever sanctioned by Washington during periods of lows in a checkered history of Pakistan’s relations with the United States, Islamabad’s choice of building up close ties with China has indeed paid off. Most of Pakistan’s successfully developed indigenous weapons systems have resulted from the uninterrupted support that the country has received from China. In a nutshell, Pakistan’s success has become possible with a combination of the country’s valuable friendship with China and the determination of successive governments in Islamabad to focus on critical areas of need. Going forward, its vital for Pakistani authorities to keep up the momentum by retaining the focus in two inter-related ways. On the one hand, it is essential for Pakistan to continue funding its indigenous efforts irrespective of the difficulties. The success in finding indigenous solutions to the needs of Pakistan’s defence forces must never be subject to compromise. On the other hand, it is vital for Pakistani authorities to work tirelessly towards building up public opinion in support of its achievements. The pride of Pakistan, such as the JF-17 Thunder, has already earned the support of the public. Finally, celebrating this success is also vital for Pakistan to guard its interests on a continuing basis. With the recent unexpected success of Donald Trump in United States presidential election, Pakistan may well face an element of unpredictability in its relations with Washington. Given how Trump expressed his reservations against Muslims and Pakistan during campaign, Islamabad needs to prepare itself for the worst possible scenarios. The likely fallout from a drying up of US economic and military assistance must remain at the centre of Pakistan’s policies. In this journey, Pakistan could well serve its interests by getting its priorities right. For too long, successive governments have failed to give enough focus to the needs of its defence forces, supporting, instead, fancy ventures like heavy expenditure on luxury projects. With Pakistan presiding over a historic opportunity built by its dedicated engineers in developing critically-needed defence hardware, its importance for policy-makers in Islamabad to choose the right set of priorities. KARACHI: Commodore Tahir Javed has said that 90 delegations of 43 countries are participating in IDEAS 2016, while 261 foreign and 157 Pakistani firms will put up their stalls. Addressing a press conference regarding the 9th IDEAS 2016 starting from November 22 at the Karachi Expo Center, Director Media Defense Export Promotion Organization Commodore Tahir Javed said that the exhibition has been extended from all the previous IDEAS expos and foreign defense delegations have responded positively over the invitations and 90 delegations from 43 countries are participating in the exhibition. He said that two MoUs were signed in 2014, while this year 14 MoUs will be signed. The International Defence Exhibition and Seminar (IDEAS) is the biggest defence exhibition of international stature, held biennially in Pakistan. The route leading to the Expo Centre from Karachi Airport has been decorated with national flags and buntings and the traffic police have announced alternate routes as the four-day International Defence Exhibition and Seminar (IDEAS) 2016 is set to begin on Nov 22. The IDEAS 2014 was successfully conducted from 1-4 December 2014, at Expo Center, Karachi. It was 8th in the series, since the inception of the Exhibition. The IDEAS 2014 had an opportunity and distinction to host participants from 67 countries. It also attracted 256 exhibitors, 88 foreign defence delegations (from 50 countries) including trade visitors. According to DEPO, the IDEAS-2014 was a great success. All the defence delegates, exhibitors, trade visitors and speakers of the seminar/sideline conferences conveyed their appreciation for the elaborate planning, efficient organization, flawless and befitting conduct of this mega international event of our region. The forum indeed helped to project Pakistan as a modern, progressive and tolerant state that is determined to recover her distorted image. Now, the IDEAS 2016 would improve the image of Karachi at international level, the District Municipal Corporation (DMC) Korangi said in a statement on Sunday as it placed welcome banners for the delegates from Karachi Airport up to Drigh Road and also decorated the route with national flags and buntings. Several Pakistani private sector vendors, most notably Metal Engineering Works, Shibli Electronics, and Blitzkrieg Defence Solutions, have entered Pakistan’s procurement mix as real factors. Interestingly, the local private sector is not a new entrant in Pakistan’s defence industry, a few companies had been engaged with their public-sector counterparts and the armed forces for roughly 20 years. However, these vendors, such as Integrated Dynamics, accounted for minor portions of the armed forces’ procurement, especially since their applications (especially in the case of Integrated Dynamics) would be very specific and low in scale (in comparison to armoured vehicles and small arms). In IDEAS 2016, it was apparent that Pakistan’s private sector had become eager to access a larger portion of the armed forces’ requirements. For example, Blitzkrieg Defence Solutions marketed its Hamza 8×8 multi-role armoured vehicle (MCV), which takes aim at multiple Pakistan Army requirements, namely the need for an 8×8 wheeled-armoured personnel carrier and mine-protected ambush-protected vehicle. In addition, Metal Engineering Works partnered with the Spanish automaker URO Vehículos Especiales, S.A. (UROVESA) to offer the VAMTAC ‘High Mobility Tactical Vehicle.’ The VAMTAC could be positioned as a general-purpose utility vehicle, one the armed forces could use for transport or even specialized missions (such as carrying low-level radars or very short-range air-defence systems). Blitzkrieg and Metal Engineering Works are taking aim at the same requirements that Heavy Industries Taxila (HIT) – which is the armed forces’ main armoured solutions supplier today – caters for through its line-up. Orders from the Ministry of Defence and/or Ministry of Interior would provide these companies with high-volume and high-value business lines, and it would also incentivize other private players to enter the market, potentially with the backing and/or partnership with overseas manufacturers. Vehicles are not the only area of interest to the private sector; Metal Engineering Works also has a partnership in place with the Spanish company Instalaza for supplying Pakistan with the Alcotán-100 recoilless anti-tank rocket launcher (produced locally if ordered). If Metal Engineering Works gains traction, it would not be implausible to see others (domestic or foreign) enter the munitions space. Shibli Electronics began offering its catalogue of thermal imaging sensors earlier in the year – the TASIER and SKUA. The company, which maintains a development bureau in the United Arab Emirates, intends to become Pakistan’s leading optics and optronics supplier, which could drive its entry into other areas. For example, there may be an opportunity to link with the Pakistan Army’s next-generation standard-issue right program by offering reflexive sights and/or magnified scopes. Integrated Dynamics, one of Pakistan’s earlier and successful private sector entrants, has continued fine-tuning its unmanned aerial vehicle (UAV) solutions. Granted, it is not in the exact space as the Army and Air Force’s Chinese suppliers are in terms of armed applications, but the company has sought to double-down on its intelligence, surveillance, and reconnaissance (ISR) roots. The Arrow optionally-piloted vehicle is an example of Integrated Dynamics’ effort to differentiate its offerings, and more importantly, try and offer a solution applicable to defence and civil services needs.